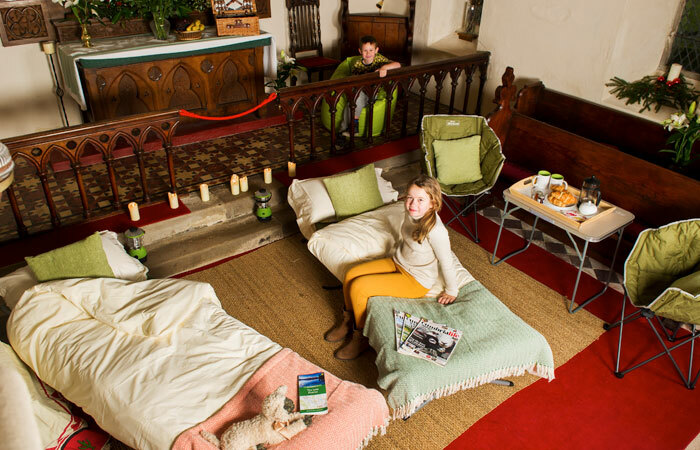 We have surprised and delighted people all over the world with a very simple idea: Camping in historic churches! 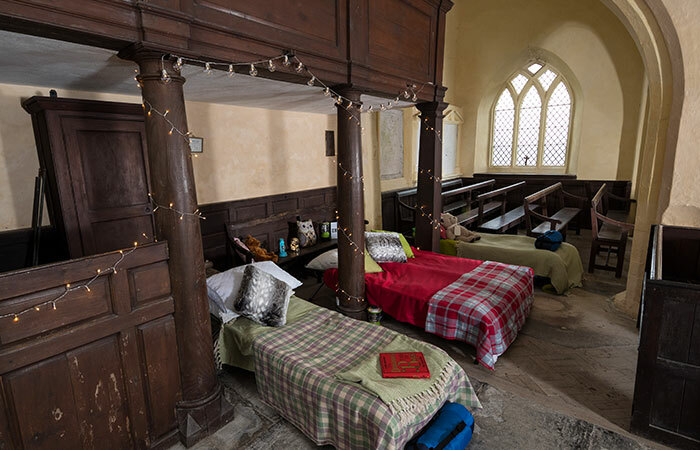 All income raised through Champing™ goes back into conserving these beautiful buildings for generations to come. We have a wide range of sites to choose from –by riverbank or moor, from old to extremely old, you’ll find something for you. 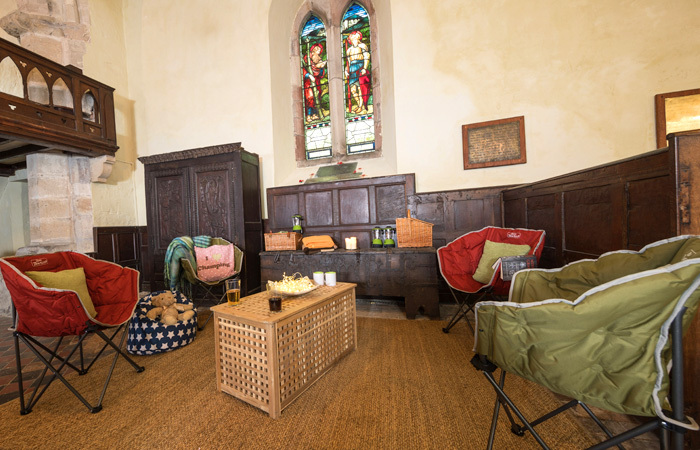 This mellow medieval church was the original inspiration for the concept of Champing™ and has become a firm favourite with champers ever since, due to its beautiful village setting, lofty proportions and warmly welcoming atmosphere. 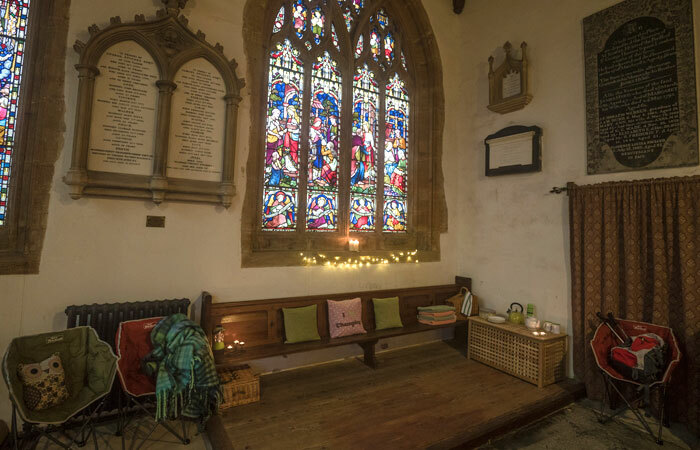 Sitting pretty in hedge-lined seclusion, just six miles south-east of the dreaming spires of Oxford, it’s easy to see how the elegant charms of this simple Georgian church made it a favourite with John Betjeman and John Piper. 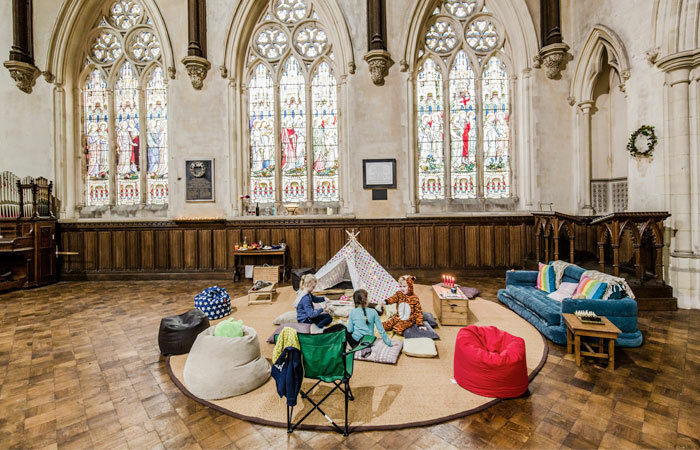 For anyone with a love of Dickens, this church is an unmissable experience. The churchyard of St James was the inspiration for the atmospheric opening chapter of Great Expectations, where our hero Pip meets Magwitch amongst the marsh-misted tombstones. Perched on a chalk hillock, above the village, St Mary’s is a prominent landmark and affords fine views across the vale of Aylesbury. Impressive from outside, inside it hides a treasure house of ancient delights to explore. 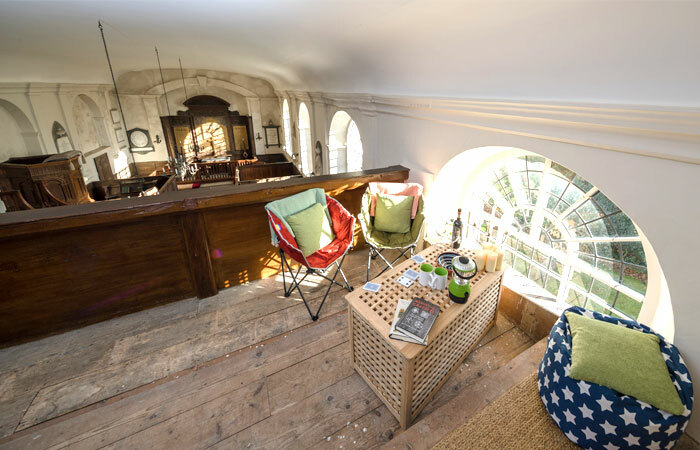 This striking church, with its prominent central tower stands on a ridge of the Mendips, an Area of Outstanding Natural Beauty close to Glastonbury and within easy reach of the rich history of Bath. 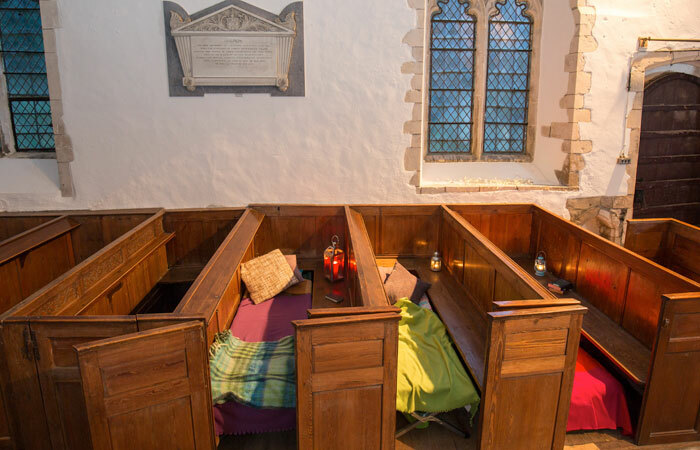 This small and welcoming church teeters behind the town square on the River Stour in the quaint and charming town of Fordwich, just three miles from Canterbury. 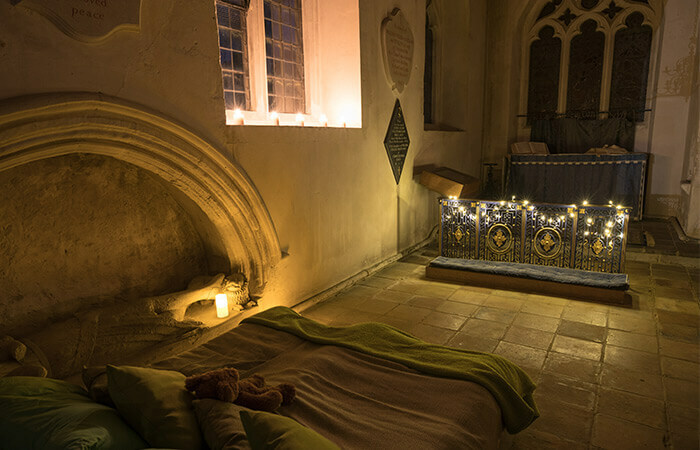 Sitting On the Way of St Augustine, it’s a mellow medley of colour and texture that has been offering rest to weary pilgrims for centuries. This Georgian preaching church sits dramatically on the horizon high above the town of Delph on the edge of Saddleworth Moor. Its brooding appearance belies a vibrant interior and breathtaking views. 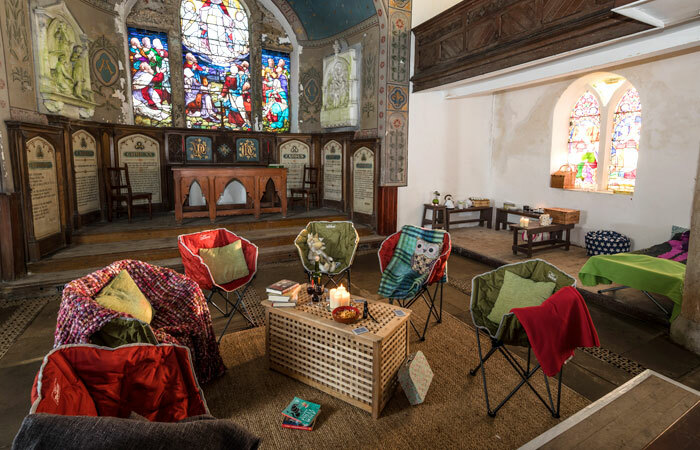 In a pretty and peaceful setting on a bend in the River Wye, looking across to the Herefordshire hills, this delightful church enjoys a rich collection of monuments and beautiful stained glass windows. Proximity to Hereford makes it a great location for exploring the area. 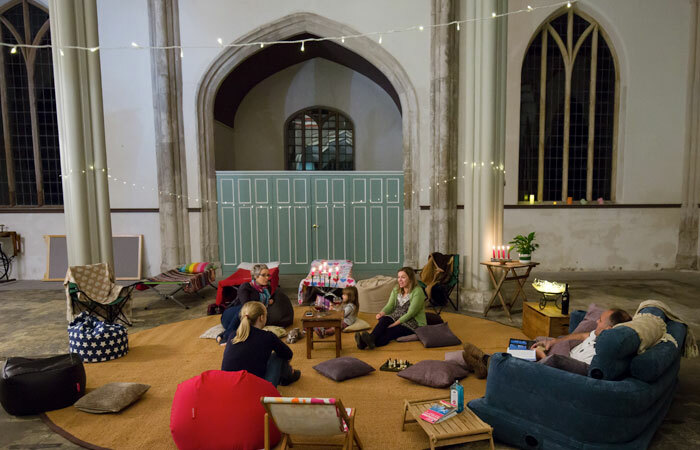 An impressively large church, with a stonking great tower on top of a very steep hill, All Saints looks out over the pretty Somerset village of Langport and its thriving independent High Street. Perched in the middle of this green and pleasant valley and surrounded by towering mountains is the church of St Mary in Longsleddale, a non-CCT church offered by the Churches Trust for Cumbria. 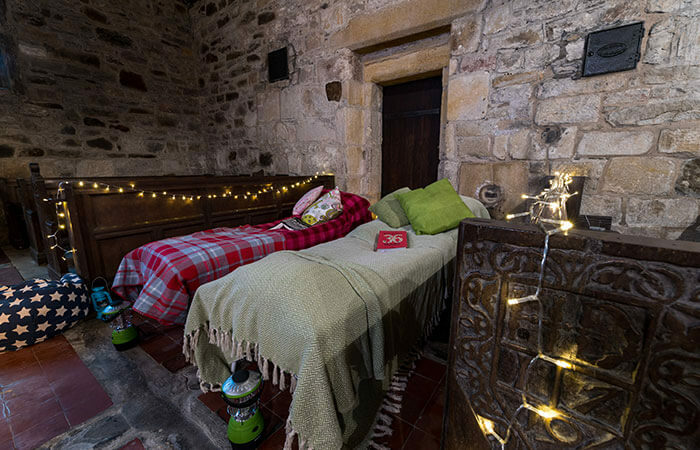 This cosy Marian church is set in a small village in the heart of the Ribble valley. 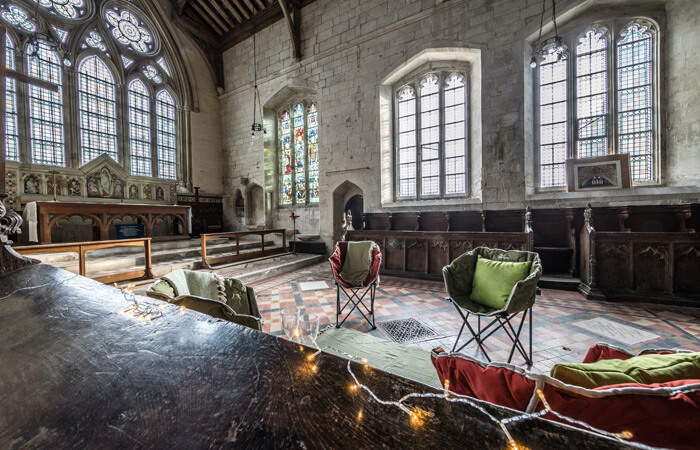 Inside the church you’ll find beautiful carved stone and woodwork, there’s a pub next door, gorgeous scenery nearby and a Michelin starred restaurant in the next village…. 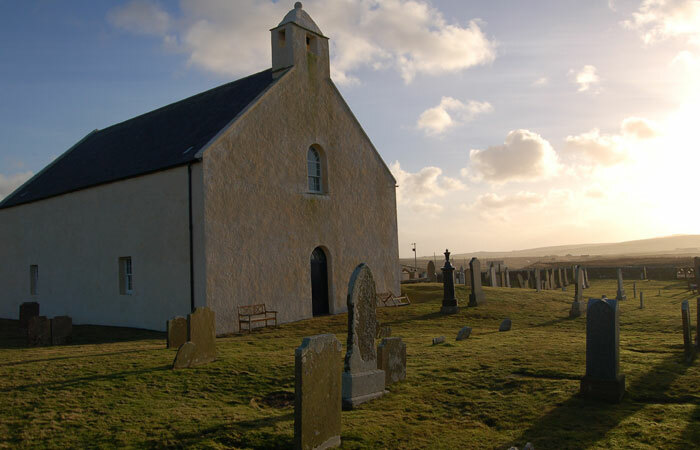 This simple and lime washed kirk sits on a rugged and exposed position overlooking the bay of Skaill on the west coast of mainland Orkney. Its calm, light interior contrasts with the dramatic views to Neolithic Skara Brae. 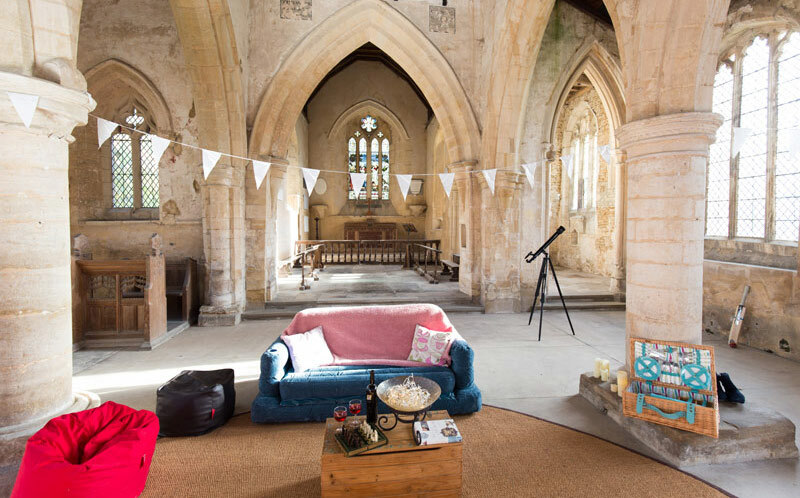 This medieval church, with parts dating back to the Norman conquest, and exceptional tomb figures stands on the edge of a peaceful Essex village, belying the convenience of the nearby motorway and airport. 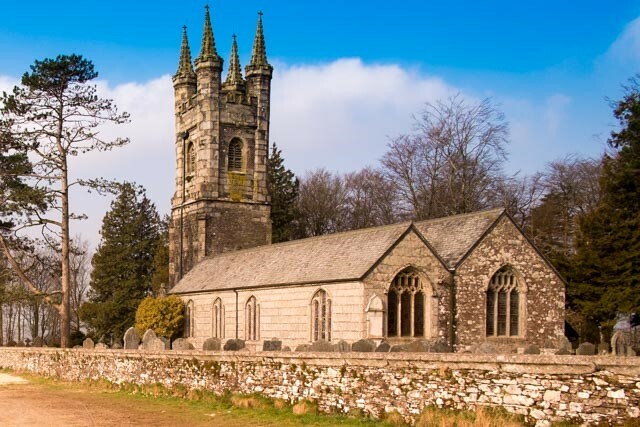 St Mary’s Walkhampton lies half a mile north of Walkhampton village on a lofty elevation bordering mysterious and romantic Dartmoor. 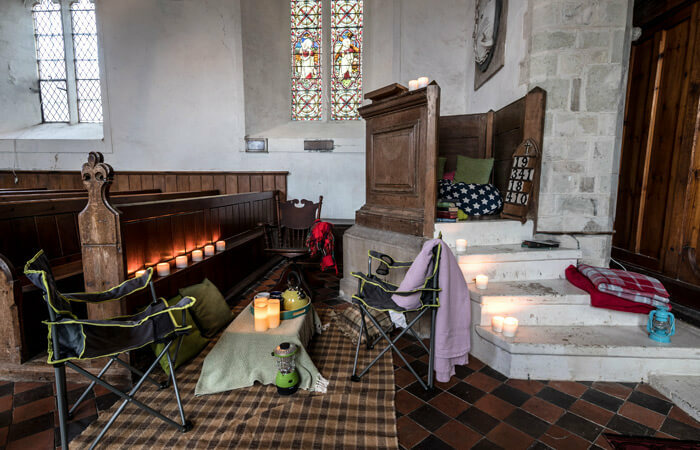 Unusually it faces north-east, the point of sunrise on the longest day, and to Gipsy Rock, the meeting place of the Saxon Walkhampton Hundred…. This gem of a church has splendid views across to the Iron Age fort of Chanctonbury ring on the South Downs. 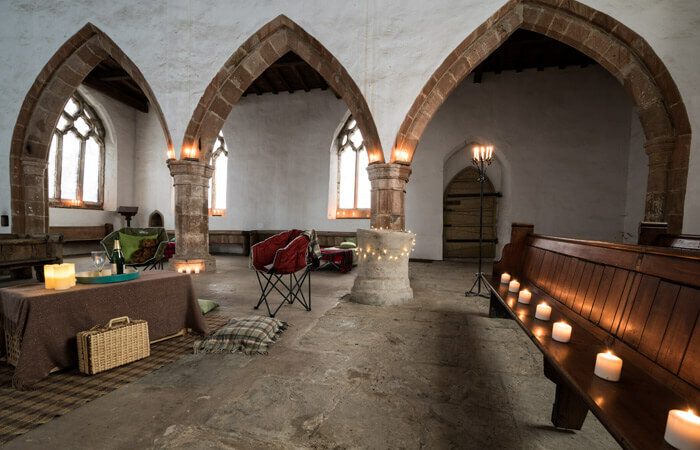 It’s in a lovely rural location and its beautiful box pews compliment a light elegant feel. William Penn lived next door before he set off to found the city of brotherly love. 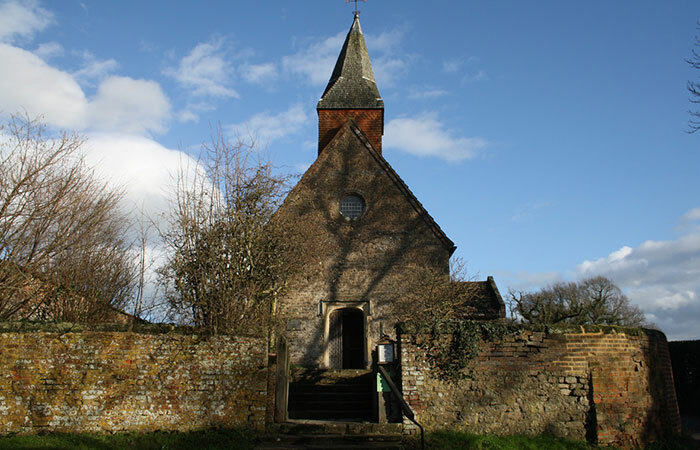 This beautiful and peaceful 14th Century church is the sole survivor of the lost village of Wolfhampcote, which lies buried to the North. A hardy exterior conceals an orderly and serene interior, with limewashed walls scattering light across the space. What did the Romans ever do for us? If you stay in St Andrew’s this summer, the answers are literally on your doorstep as it is next to Viroconium. 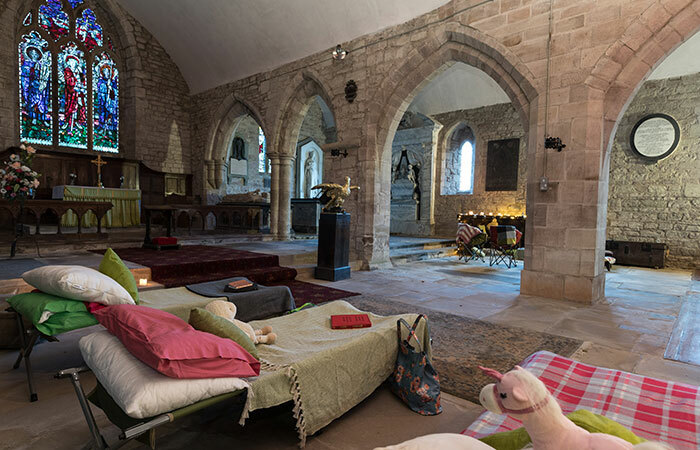 An archaeologist’s delight, parts of the church are constructed from Roman remains, but the many additions over the centuries make it a fascinating stay.